Who would have known that a trip to Israel can change your life? That’s what it did for my husband, Tom, and me. We were blessed to take a trip with Father’s House along with two of our sons and Tom’s parents. The things we saw, the lessons we learned, and the history we “experienced” — all under the wise, loving, and knowledgeable leadership of the Turners — transformed a memorable trip into a life-changing event. Like Job, we had heard with our ears, but visiting Israel, we were able to see with our eyes, and understand God and His Word and His land with greater clarity, insight and awe. A few years later, I was back on a trip with two of our daughters, for another amazing experience. We are hoping to take all of our children, along with spouses and grandchildren, on trips to Israel in the future. After our Father’s House experiences, we have come to believe that visiting Israel is almost essential to truly understanding God’s land, people and Word. When we heard that Father’s House was “changing courses,” Tom and I immediately knew that we wanted to be a part of what God was doing in that amazing organization and in the lives of John and Roxie. 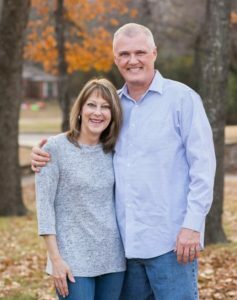 We have a long history with the Turners, and know by experience that anything they are involved in will be done well, with much prayer, and with God’s guidance and grace. We feel so blessed to partner with them, and are excited to see what God will do in and through their ministry. We know the Lord, and we know the Turners — it will be something good! And we want to be part of it! Thank you, Melisa and Tom, for your partnership from the first day until now!